Zomato is calling all engineers in India for a ‘Trial week’ at the organization. Introduced in 2015, Trial Week is a concept where engineers from all over the country register to work with Zomato for a week and eventually secure a place in the engineering team. It presents a unique skill-building opportunity for the participants and works as a platform for Zomato to test, engage and onboard some of the most talented engineers in India. Trial Week will also help candidates get familiar with Zomato’s culture and work ideologies. As the first step, Zomato will shortlist the registered candidates on the basis of their profiles- the platform is especially encouraging women to register. The selected candidates will be divided into three groups and called out in April (8-12th, 15-19th and 22-26th) to work at Zomato’s Headquarter in Gurugram, Haryana. They will be assigned some of the most challenging projects which will test their practical knowledge and proficiency. Candidates will also have mentors from Zomato’s engineering team to guide them. The participants who are able to prove their mettle and impress Zomato’s engineering team during the week will be offered a role to work full time with Zomato. 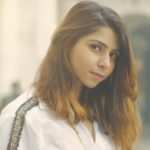 Mehak Satija, who is now a Software Engineer at Zomato, said, “I was given the task to build a web app for table booking with a feature to customize the number of chairs per table. I remember the motivation and excitement with which I performed. I have been in the organization for 3.5 years now and still share the same enthusiasm. “Trial Week has been the soundest form of interview till date. I got to know about Zomato’s culture, their agility and most importantly their philosophy towards tech products”, added Chinmaya Gupta, Site Reliability Engineer, Zomato. “I had the experience of being a Zoman during the Trial Week. You get to see how your small contributions can impact millions of users. Also, working with such talented and dedicated folks definitely excites you about joining the organization.” added, Achin Sood, now a Software Development Engineer at Zomato. Exclusive Quenchers Now Available At Barista!